For people who don’t know, what does Adventure Cycling do? Our mission is to inspire and empower people to travel by bicycle. When we say traveling by bike that means traveling one night or the rest of your life. We try to give them the inspiration, the stories, the ideas for traveling by bicycle. We give them the tools, the information, provide an actual tour or instructional course if need be. Within that one mission we do a variety of things. We publish a magazine and lots of online and other printed content related to bicycle travel. We have six full time cartographers creating bike friendly routes and maps all over North America. We have almost 45,000 miles of routes and we’re constantly updating them. They’re mostly paved. Some dirt, including the longest mapped mountain bike route in the world, which is the Great Divide. We run tours and instructional courses. That’s everything from epic three month cross country tours and Great Divide tours to instructional courses and shorter tours. We try not to offer too many tours that other companies or nonprofits offer. We do a lot of self-contained tours, which pretty much nobody does. We do inn-to-inns where you sleep in hotels and eat at restaurants, but you still carry your own gear. There’s no vehicle support. That’s really unusual. We sell our maps and we sell some bike gear. But again, we typically try to sell stuff that you don’t get at most shops, things that are hard to find. It was really hard for a long time to get BOB trailers. Schwalbe tires weren’t really distributed much in the U.S. We’re still selling them, but now you can find them in a lot more places. Most bike shops wouldn’t carry panniers and racks, but now they do. We take the net proceeds from all that we do and we put it back into the program work to support biking and better bike travel in North America and also a little bit globally. We partner with other nonprofits overseas like the European Cyclists Federation, Sustrans in the UK. We cross promote between our groups, share information, work together on our different projects. Our advocacy work encompasses a wide variety of things to create better bike travel in North America. How did you end up as executive director? It was just kind of dumb luck. My whole career’s been in public service, either in nonprofits or in government and politics. I just happened to be reading the Chronicle of Philanthropy, which is kind of the trade journal for nonprofits. They had an ad for this job. I applied and probably against their better judgement they took me. 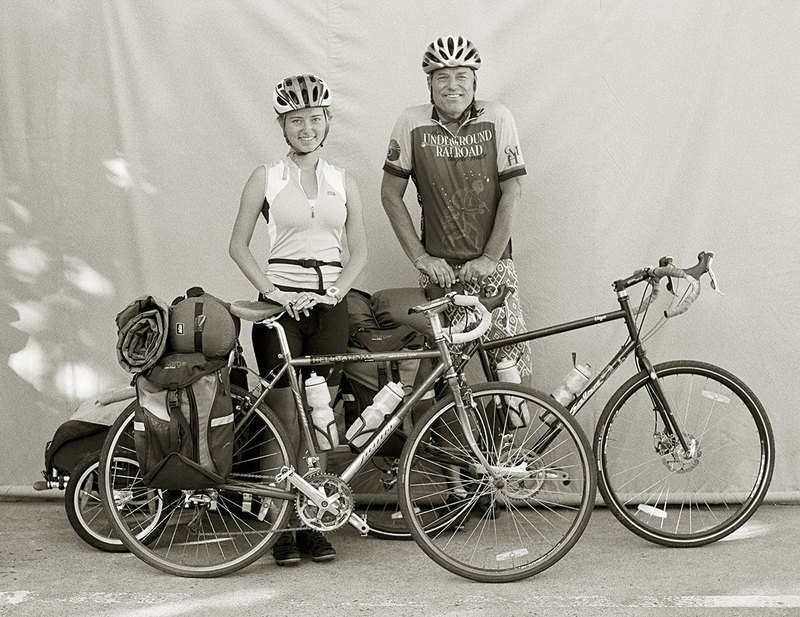 Were you into cycling or bike touring before you got involved at Adventure Cycling? I was very much into cycling. I was the director of a nonprofit and also worked at USEPA as a political appointee in San Francisco. While I was there I was a volunteer for the San Francisco Bike Coalition for their advocacy efforts. It was a hot house time. It was at the time of critical mass. And even before that I was an avid bike commuter, when I lived in Washington DC area. When I was in graduate school and college my main mode of transportation was biking. I’ve always really enjoyed biking. I call myself a bike omnivore. I like biking for every purpose whether it’s commuting or errands or travel or mountain biking or road biking it doesn’t matter. I really love it in all its form. I had done bike travel and some week long trips. But it wasn’t a driving force [for applying to Adventure Cycling]. I just liked the idea of biking. I liked the idea of running a nonprofit that had this wide variety of things. We do these earned income activities like selling tours or selling maps. It’s really stimulating because you’re working with map makers, tour organizers, you’re doing advocacy work. It’s different than your average nonprofit. 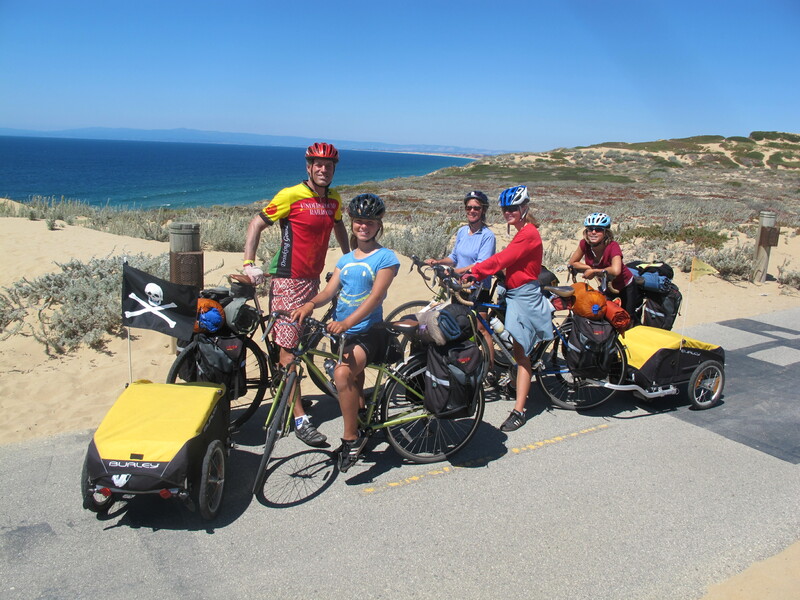 The Sayer family on their Pacific Coast bike tour. Do you have a favorite bike tour that you’ve done? Probably the Pacific Coast one with my family was the most memorable, because it’s always more special when you do tours with the people you love. And if you still love them at the end that’s even better. That was awesome cause my daughters were fairly young, too. I always got looks like, “you took your 13 year old and two 11 year olds on a bike tour?” They were riding without a tandem. But of course. They’re physically stronger than most adults and they recuperate faster cause they’re so young and flexible. It’s just about making it fun for them. It’s amazing to see all these parents and their children out touring these days. It’s inspiring. That was probably the best for me, but I’ve done a lot of great tours. I really enjoyed riding in India. I really enjoy riding in Europe. I haven’t really been anywhere I haven’t enjoyed riding. Sometimes it’s a little harder if you get sick or if you have issues with directions. But really, by and large, it’s always great. One of the big conversations among touring advocates and bike advocates in general is the potential economic impact of cyclists. How much impact are bike tourists having on the regions they travel through? We’ve tried to collect all the economic impact studies in one place on our website so people can see the economic impact. Cause it’s not just potential, it’s real. That’s the great news. We have studies from Wisconsin and Oregon and now Montana and other states that demonstrate that bike travel can be really lucrative. And it’s just like biking in general, you don’t have to make big investments to get that return on investment. We just saw a real life example this week where we have a fairly conservative legislature in Montana that’s not naturally sympathetic to bikes. They’re not hostile, most people in Montana don’t bike. In Missoula they do. We’re the 10th best city in the country for percentage of trips taken by bike. But Montana as a whole is not known as a biking state. But anyways, we had a safe passing bill before the House of Representatives. Four foot. And again, the house is not naturally sympathetic to cycling, but it did eventually carry 52 to 48. It was a very tight vote. We had bi-partisan support. Rural legislators and urban legislators were voting for it. One of the arguments that carried the day was definitely the economic impact. A year ago the University of Montana Institute for Tourism Research put out a study. It said 1) bike tourists spend more than the average tourist that visits Montana. 2) They stay longer in the state so they’re spending money longer. And 3) they’re spreading their money across all these different towns because they’re not just in the usual places like Glacier National Park or Missoula or Bozeman. They’re going to all these little towns and they’re dropping significant money. And then they extrapolated it. They said if you can get this number of these kinds of cyclists to Montana it would be generating $377 million per year. That’s 12 percent of what the total tourism receives right now in Montana. They were voting on a Monday, so Sunday night I was able to send this email to all these legislators and give them a snapshot summary of that report. That was just one example where you can summarize this impressive report saying bikes can generate a huge amount of money. Then if you had safe passing laws, good roads with good shoulders, you could bring more people to Montana who want to bike. We have the terrain and we have the nice communities. You just need to have the safe infrastructure to go with it. So we got our vote. It was tight and it still has to go to the Senate. But hopefully we’ll carry the day and become the 25th state to have a safe passing law. I hit on economic impact all the time. In the U.S., we have corridor studies for places like C&O Canal and Great Allegheny Passage where they’ve documented what people are spending. In the Outer Banks where they have a bike path they were able to demonstrate a return on investment. We have studies outside of the U.S. like in Quebec or in Europe. We have an amazing study from Europe that says they were generating $57 billion per year from bike tourism. It’s important to point out bike tourism is not just multi-day bike tours. It’s anything that has to do with using a bike to go tour a place or a region or a country. That includes day tours, which are increasingly a big part of bike tourism. Urban day tours or just doing a one day trip. In Europe it’s really engrained. A lot of people who go on vacation for a week will always do a day riding bikes with the family or friends. It’s a cool way to go explore a place. In the U.S. less so, but we’re starting to see it. Bike share is now a big seeing a big chunk of tourists. In DC especially. Jim and daughter Samantha on a tour last summer raising money for 350.org. Photo by Greg Siple. You mentioned earlier that some of Adventure Cycling’s work is advocacy to make bike travel better. What are some of the advocacy hurdles you deal with in your work? We work at the federal level in partnership with other national groups to get federal resources and policies that benefit biking. We also work with other federal agencies where they can have an impact with how states behave in how they treat bicyclists. We worked closely with the Federal Highway Administration on its rumble strip policy. Typically each state has its own policy. They’re not required to go by what the feds say. And we’ve been working state by state to encourage smart rumble strip policy that doesn’t obliterate the shoulders that cyclists can use or force cyclists into high speed travel lanes. We’ll advocate with different municipalities when it comes to road surfaces. One example was two years ago we were the main national group working with local groups after the California Department of Transportation chip sealed a long stretch of Highway 1, which is part of our Pacific Coast route. They did it with terrible aggregate. It was like three quarters of an inch to one inch pieces. And they were really jagged. They didn’t sit well on the ground. It was really dangerous. It was slicing up tires. It was collecting in the shoulders and creating mounds that were impossible to ride in so it was forcing people into the lane. They were even getting kicked up into the windshield of cars and motorcyclists. It was just dangerous and over all just dumb. Caltrans kept saying, “we’ll eventually fix it. this was just what we had to do.” But they came around and accelerated a re-do and also redid the state road surface policy so they don’t do this elsewhere. We also just work on access issues. There’s a section of our new route, Bicycle Route 66. There was no safe way to go by bicycle between Needles and Barstow other than primarily on Interstate 40. It’s not the most pleasant ride in the world, because you’ve got traffic going by. But it’s not a bad route. You’ve got eight foot wide shoulders separated from the road by rumble strips. Caltrans refused to open that to bicyclists. We’ve been working on that for over a year with California Bicycle Coalition and locals. We had members going out researching. And just in the last week Caltrans agreed to open up key segments of I40 to cyclists. That’s terrific. The other thing we’re doing is just reaching out to the travel industry and convention and business bureaus and getting them interested in active travel and bike travel. It’s not just about transportation issues. If we can get tourism agencies interested in bike travel that’s fantastic. They have a lot of resources. They can do a lot of PR and promotion. They can also weigh in and say hey, we need better roads for cyclists and more rail trails. We’ve been increasingly going to tourism conferences to talk about bike travel. Advocacy can also just be reaching new audiences and new power players that can help bicycling. That’s why we promote bike overnights a lot. We think it’s a perfect gateway for commuter cyclists. You can just use your current bike. You don’t have to get a touring bike. You don’t need to buy panniers. For a bike overnight you can just take a backpack. Put it on your back with a change of clothing and a toothbrush and go camp or spend a night at a motel. That leads right into my final question, what’s your best piece of advice for someone who wants to try a bike tour? The easiest thing is just go to adventurecycling.org. We have a how-to guide for people just starting out who want more information about how to travel by bike. The second website to go to is bikeovernights.org. It has stories and lists and resources on how to do a one or two night trip. Really easy, fun. As we say, if you screw it up, there’s bad weather, you get a flat tire, you can just go home. Try it again. You haven’t wrecked a big vacation or anything. We do recommend people try a bike overnight or something easy first. That info is all free, you don’t have to be a member. It’s so amazing how many people on their first trip ever do a cross country bike tour. We’ll get calls from people who’ve never done a bike tour and want to buy a set of our maps for cross country. More power to em. They do it. You don’t need to be a high caliber athlete to do it. You just need some fortitude. 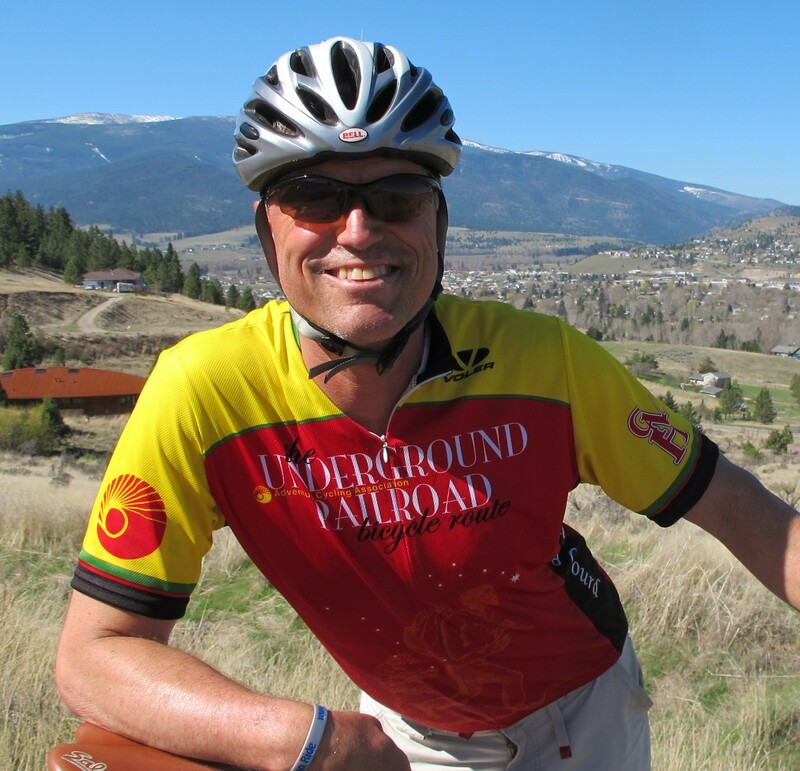 This entry was posted in Advocacy, Bike Touring, Interviews and tagged aca, adventure cycling association, bike advocacy, bike overnight, bike touring, bikepacking, cross country bike tour, great divide, jim sayers, s240, us bike route 66. Bookmark the permalink. I intend to start a bike tours and bike hire business here in Kijabe, Kenya this July. Please advise on how to go about it. Thanks.